New, Improved OSHA Outreach Cards are here! 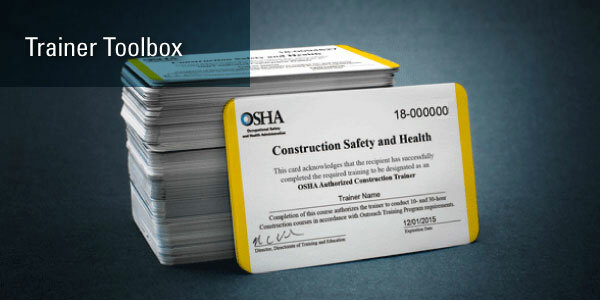 OTI Education Centers have made the switch to new and improved OSHA cards—for both trainers and students! The new cards are made of durable plastic, like credit cards, with authorizing logos, contact information of the authorizing OTI Education Center, and QR codes for authentication. Each OTI education center will maintain an electronic database of its authorized trainers and students, which allows the public to authenticate each new card presented to them with the use of the QR code found on the back of the card. Additionally, the price has increased from $5 per card to $8 per card. Please refer to the press release from OSHA for more information, and feel free to contact us with any questions. Prices for replacement cards have also changed as of March 1. Student replacement cards have gone up from $10 per card to $20 per card, and trainer replacement cards have come down in price from $25 per card to $20 per card. Please be reminded that we can currently ONLY accept credit card payments, made online through our secure OSHA eStore, for card purchases. Additionally, trainers who have recently taken either the OSHA #500 or OSHA #502 course have these materials loaded onto their memory sticks. Through a combined effort from OSHA, Susan Harwood Grantees, the Alliance Program, and NIOSH, here are new compliance assistance resources available to the general public. You’ll find several lists of assistance products, web resources, videos, reports and publications that have been pulled together to help employers meet compliance requirements and establish a safer work environment for workers. Temporary Worker Training Materials Now Available in Spanish—FREE! 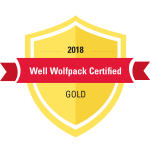 Last year, NC State was able to develop wonderful resources for workplace safety training for temporary workers. We are excited to announce that these materials are now also available in Spanish! It is through a Susan Harwood training grant that these materials were able to be developed and can be found on our website. You will have access to an instructor guide, participant manual, and PowerPoint to facilitate training. Help make safety permanent by not letting your temporary workers slip through the cracks! If you have any questions, feedback or suggestions for future editions of the Trainer Toolbox, please contact SoutheasternOTI@ncsu.edu.